JACKSON CREEK: This coffee is named for Jackson Creek, which flows through our founder’s ranch in Mobile, Alabama. Since 1959, ranch hands have relied on great tasting campfire coffee. 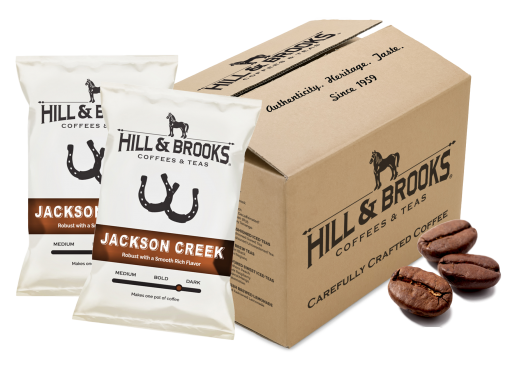 This special blend embodies the spirit f the honest, hard-working American. 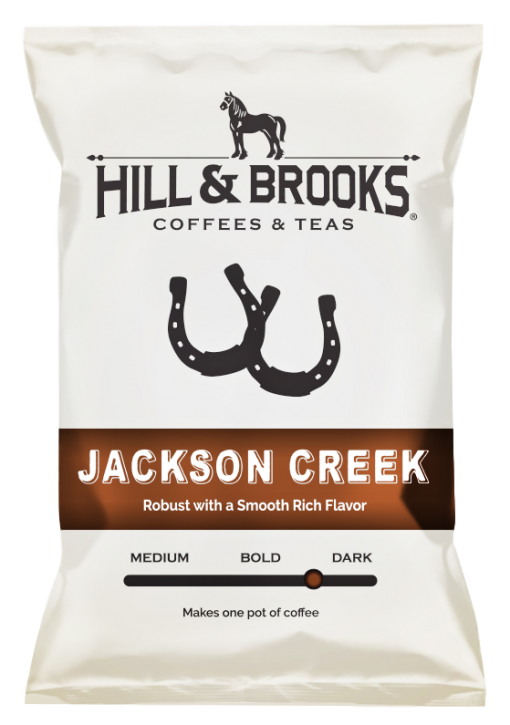 Cupping Notes: Our medium dark roast blend has a smooth mouth-feel with a full body and robust flavor. Rich chocolate and almond notes build the cup, which finishes clean with lingering earth tones. Country of Origin: Central & South America, Southeast Asia. 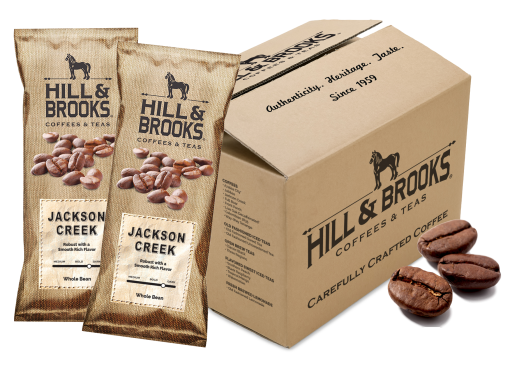 Sourced by cooperatves of growers located in the tropical growing regions of Central and South America and Southeast Asia, this blend encompasses nature’s variety of coffee cultivars. Synonymous with the growth of coffee in mainstream culture, the cup presents a familiar taste to most.